Sharon Stone attends the 75th annual Golden Globe Awards on Jan. 7, 2018, in Beverly Hills, California. 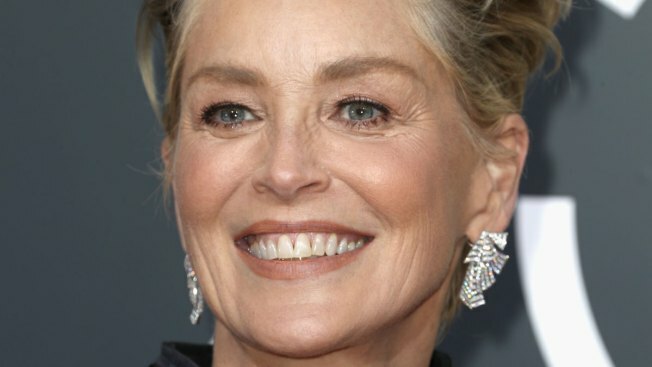 Sharon Stone laughed out loud for a full 10 seconds when Lee Cowan asked her on "CBS Sunday Morning" if she ever experienced inappropriate behavior during her time in Hollywood. "I don't really know how to ask this in a delicate way, but were you ever in a position like that, that you felt that you were uncomfortable?" Cowan asked. As Stone cackled, he said, "You're laughing. I don't know if that's a nervous laugh or 'Are you kidding me? Of course I was' laugh." After composing herself, Stone looked at Cowan. "I've been in this business for 40 years, Lee," she said. "Can you imagine the business I stepped into 40 years ago? Looking like I look, from Nowhere, Pennsylvania? I didn't come here with any protection," she told him. "I've seen it all." Stone is a supporter of the Time's Up movement, and like many of her peers, she wore black in solidarity at the 2018 Golden Globes. "We were raised to accommodate men, particularly in my generation, and women so often lose their own identity to the identity of the man that they're with. They even change the way they dress and what they do to fit the men that they're with," she said. At last, the actress said, "We're starting to acknowledge our own gifts as women and not think that we have to behave as men in order to be empowered, or powerful, or valuable." In the same segment, the twice-divorced actress said "real" relationships are "pretty hard to come by," but she'd rather be alone than lose her identity. "I just was not the girl who was told that a man would ever define me," she said. "It was that if I wanted to have a man in my life, it would be for partnership. It wouldn't be an arrangement; it would be an actual relationship." Stone next appears in the HBO mini-series "Mosaic," premiering Jan. 22 at 8 p.m.